Avinashi (previously known as Thirupukkoliyur) is a Town Panchayat in Tirupur district in the Indian state of Tamil Nadu. It is one of the fastest growing eastern suburb of Coimbatore. Avinashi is one among the seven taluks of Tirupur district. It is one of the popular pilgrim destination in Kongunadu region. Avinashi is located on National Highway NH47, which now bypasses the town. It is a town with rich cultural heritage and also coping up with the fast developments of the adjacent city. The history of the town is centred around the Avinasilingeswarar temple. In local administration, the Avinashi town is a municipality while in the state administrative structure Avinashi is a Taluk in the district of Tirupur. The Corporation of Coimbatore has drafted a Master Plan that aims to develop Avinashi as the satellite town around the Coimbatore city. The word Avinashi means that which is Indestructible, referring to the God of the Avinashi Temple. Avinashi has an average elevation of 313 metres (1030 feet). Avinashi is a suburb of Coimbatore located between Erode district and Coimbatore in Tamil Nadu. This place is famous for the Shiva temple constructed by Sundarapandiya is closely associated with the great Saiva saint Sundaramoorthy Nayanar. Avinashi is located on the arterial road connecting the major industrial & tex cities of Tirupur Erode and Coimbatore. 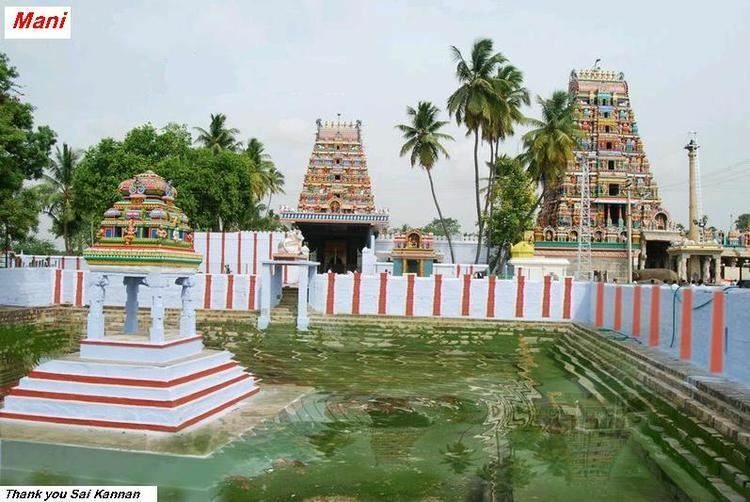 Avinashi is part of the ancient ‘Kongunadu’ which now comprises the districts of Coimbatore, Tiruppur, Erode, Salem, Dharmapuri, Karur, Tiruchirappalli, Namakkal, Dindigul, Nilgiris and Krishnagiri. This Place of Great historical importance was known as Thirupukkoliyur in the Sangam era. This is one of the seven Shivastalams in Kongu Nadu; however this temple is better known as Karunaiyaaththaal temple. Avinashi is also referred to in inscriptions as Dakshina Varanasi, Tiruppukkozhiyur etc. Tirumular's Tirumantiram, Arunagirinathar's Tiruppugazh & Manikkavasakar's Tiruvasakam refer to this shrine. This temple is regarded as the first of the seven Tevara Stalams in the Kongu Region of Tamil Nadu. "Vinasam" means "Destruction". Prefixing with 'A' means 'No-destruction'. Avinashi is "a place which doesn't have any destruction by any means". In all Shiva temples, Goddess Shakthi(Parvathi) is seen left-side of Lord Shiva. Whereas in Avinashi, she is right-side of Lord Shiva. Sundaramoorthy Nayanar on his way to meet Cheramaan Peruman, the Nayanar happened to visit Avinashi. As he was passing through one of the streets, he heard two discordant notes coming from opposite houses, one echoing joy and another sorrow. The puzzled saint understood the cause for the strange phenomenon. Two boys of the same age went to bathe in a tank from which emerged a crocodile and devoured one of them. There was being celebrated the "Upanayanam" (Thread ceremony) of the surviving boy, now 8 years old. Hence there was joy and mirth in the house. While the other people were unable to bear their sorrow. Had their boy been alive, they too would be celebrating his "Upanayanam". Intensely moved by this, Sundaramoorthy Nayanar poured out of soulful song, praying to Lord shiva to resurrect the dead child. His prayer was answered .The empty tank started surging with water from which emerged the crocodile and ejected the child as a fully grown boy of eight years. Avinashi also has Karivaradharaja Perumal temple, Anjaneya Temple (by Vysarayar), Akasa Raayan temple, Angalamman Temple, and Ayyappan Temple. According to the 2011 census, the taluk of Avinashi had a population of 337923 with 168055 males and 169868 females. There were 1011 women for every 1000 men. The taluk had a literacy rate of 68.05. Child population in the age group below 6 was 15424 Males and 14709 Females. The nearest airport is the Coimbatore International Airport, which is about 32 km away from Avinashi. There is no rail transport to the town. The nearest Railway Station is at Tirupur, which is about 15 km away from Avinashi. The key public mass transport for the people here is the Buses run by the State Government & Private Sector thus providing a competitive service to the people. Avinashi's geographical location enables it to be a regional hub for many long distance traveler's to & from the twin cities Coimbatore & Tirupur. Ambal's sanctum is to the right of Avinasiappar's sanctum, unlike that in most temples. The Kasi Gangai Theertham—in the form of a well is considered to be of significance. The Kaalabhairavar shrine in this temple is held in reverence. Kaala Bhairavar is worshipped here with offerings of Vadai Maalai. Avinashiappar temple is a protected monument under the Archaeological survey of India. There are many textile mills located in and around this town. These textile mills comprise spinning and weaving mills that work closing with various apparel manufacturing companies,the major one being S.P.Apparels ltd. There are also many engineering industries. Agriculture is the major occupation of many of the people in and around this city. Mondipalayam Sri Balaji Temple (referred as 'Maela Thirupathi'), Thirumuruganpoondi Thirumuruganathar Temple (One of the seven Kongu-shiva temples), Chenniaandaver Temple, Thalakkarai Lakshmi Narashima Temple, Sevur Vaaleeswarar Temple, Mariyamman temple in Sembakovandampalayam, Karuvalur Mariamman Temple, Poththampalayam Karupparayar Temple, Naduvacheri Kotteswarar temple Etc.,.. The car festival is the most exciting of the festivals in this temple. 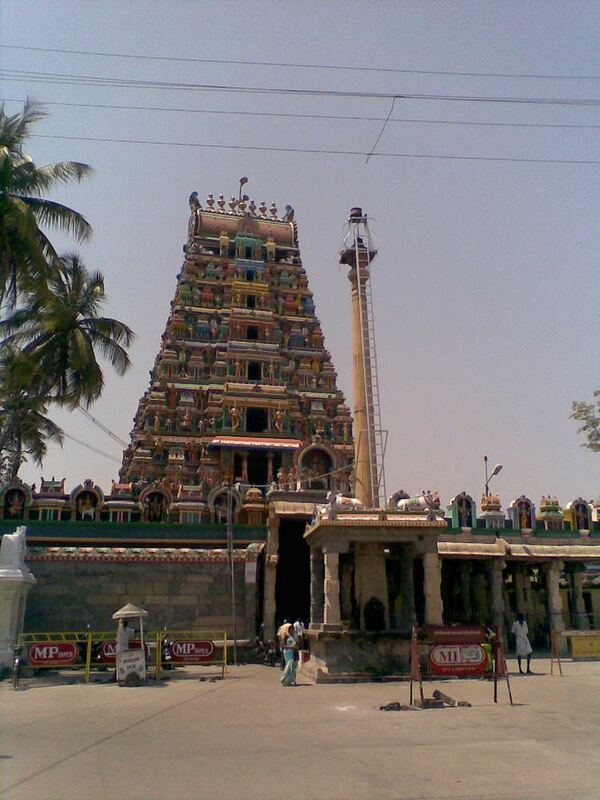 This temple's car is second biggest in South India and is noted for its fine wooden carvings. Since the old car was destroyed by fire in 90's, it has been rebuilt. The annual Bhrammotsavam is celebrated in the month of Chittirai. Apart from Temple car festival, 63r (Arubathi moovar Ula) is one of the notable festival in this temple. The festival chariot here is said to be on par with Tiruvarur. Previously it was a 10-day festival, but now it is celebrate for 2 days.There are two temple cars, the wheels of the cars are made of iron. In earlier days, the car was pulled by people alone, now bulldozers help to move the car. The traffic in the Avinashi road in increasing day by day, and because of this, the temple management is thinking of moving the car from the road side to some place near the temple.